On Tuesday evening, a luxury car dealership transformed into a national fashion platform, providing five western Canadian designers the opportunity to take their careers from zero to light speed in a mere 48 hours. Polished cars were rolled out of the way to make room for a runway and the opportunity of a lifetime. The Mercedes-Benz Start Up program presented semi-finalist designers Malorie Urbanovitch, Lauren Bagliore, Rebecca King, Eliza Faulkner and Nicole Campre. The program acts much like its name - a vehicle to uncover and rev up Canada's best kept fashion talent and provide mentorship and platforms for that talent to thrive. In its second year, Start Up has extended its reach hosting semi-finals in Edmonton, Ottawa, Quebec City and Halifax. One semi-finalist from each city will present collections at Toronto's World MasterCard Fashion Week competing for an outstanding prize - an editorial spread in FASHION Magazine, as well as mentorship and access to industry leaders who will assist the winner in preparing a collection for Toronto Fashion Week in March 2013. Out of ten finalists chosen from western Canada, the five women chosen to present at Tuesday's semi-finals managed to impress seven judges during an intense and thorough interview process on Monday. An experienced panel included fashion royalties Christina Neault, Executive Director of IMG Fashion and Mercedes-Benz Fashion Week; Robin Kay, Executive Director of Toronto Fashion Week; Edmonton's own Caroline Gault, Alberta Editor of FASHION Magazine, established designer Stanley Carroll and Jared Tabler, Fashion Editor-at-Large of Avenue Magazine among others examined each designer's business plan, experience, designs, and vision. After the collections sailed down the runway, Edmonton's Malorie Urbanovitch was declared the evening's winner. 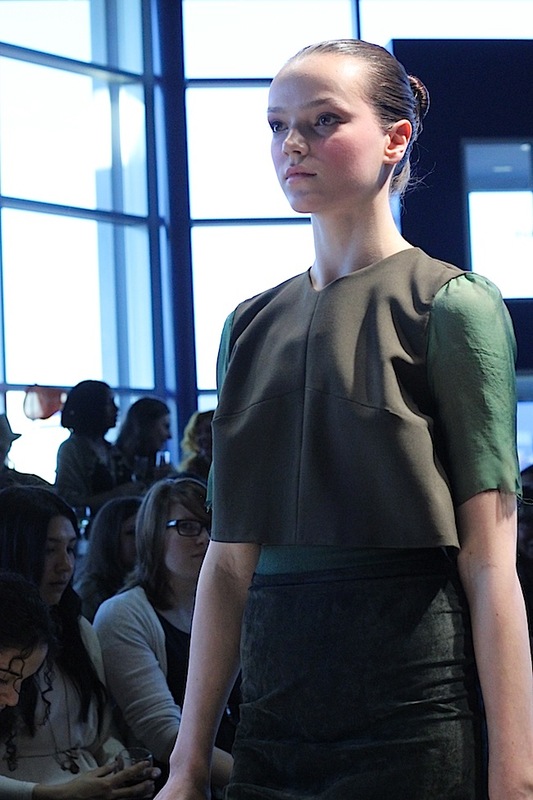 She presented a stunning, cohesive collection with flowing and draped jade and emerald fabrics. 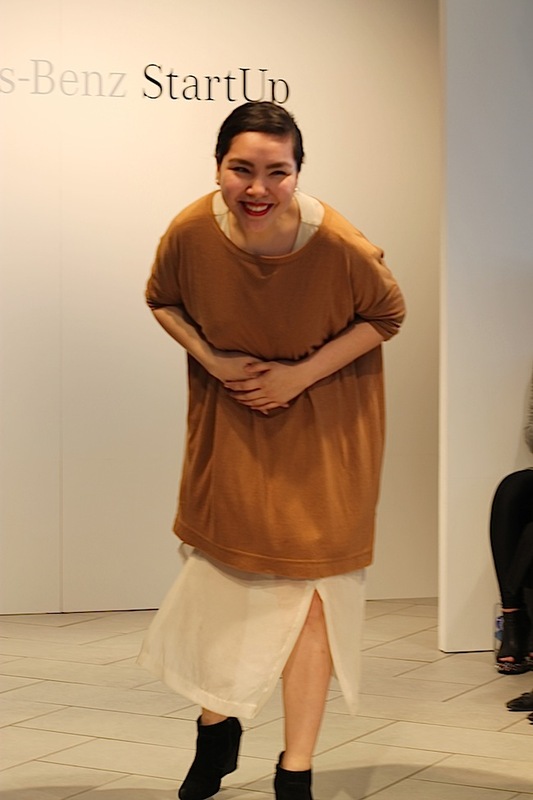 Malorie will go on to compete at the nationals in October at World MasterCard Fashion Week against seven other finalists. Four cities, eight finalists? Like any good reality show, this competition comes with a few surprises. It was announced Tuesday that four more wildcard designers will be chosen out of each city's top ten to compete in Toronto. This is going to be quite the walk-off. I've been reflecting on this momentous experience - part of the reason it took me so long to post my coverage. The rubbing of stylish shoulders with some of fashion's most elite members served up a big dose of reality in our small fashion community. And although it can be hard to swallow, the prescription will surely benefit, strengthen and motivate us all to think bigger. Edmonton designer Malorie Urbanovitch will go onto Toronto Fashion Week to compete in the Mercedes-Benz Start Up Nationals. 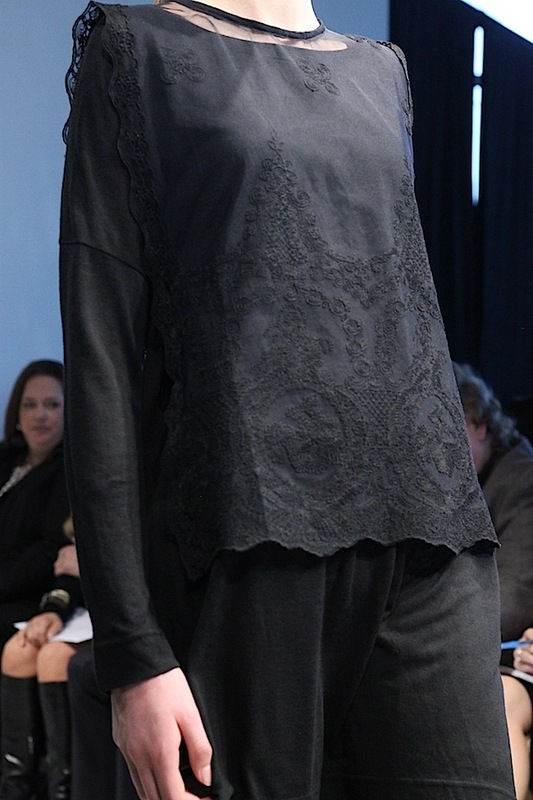 A piece from Semi-Finalist Winner Malorie Urbanovtich's collection. Edmonton designer Nicole Campre thrilled after presenting a stunning collection. There are big things in this girl's future. Intricate hand crafted details by Eliza Faulkner.